1. How did SAMTEQ get started? 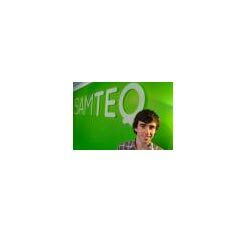 SAMTEQ Limited was established in 2009 by Sam Coley, at the age of 16 and has enjoyed rapid growth to a successful web development company. SAMTEQ creates web solutions for small to medium businesses, based in Scotland but serving the UK and beyond. SAMTEQ specialises on making extremely easy to manage websites, with a unique CMS system developed in-house. SAMTEQ customers tend to be owner managers and have little time to do anything apart from concentrate on their business. As a growing business we do not have an accounts department so we have to manage our invoicing between our paid work. 2. How did you discover Zoho Invoice? Zoho Invoice came to our attention through Google search for online invoice system, allowing us to have a genuine no commitment free trial. 3. What invoicing software were using before and why did you decide to switch? Before Zoho we were using Microsoft Access, a template found on the web. It did the trick but was slow and time consuming, we needed a system that allowed us to have recurring invoices and make sure we actually created and sent the invoice. We switched to Zoho because it had all the functionality we needed and was very affordable, now we have been using Zoho Invoice for a few months and have found it has improved cash flow and reduced our time, well worth every penny. 4. How has Zoho Invoice helped your business? Finding Zoho invoice was a great break through for SAMTEQ in dealing with our invoices, what was a chore turned into an automated process. When we need to create a new invoice it is a breeze. When we first trailed the solution we found the setup to be easy and intuitive, only bringing up a couple of questions which were answered in the forum and an email to support. We generally bill customers for setup charges then have recurring charges for ongoing services. We invoice customers when we complete work and they have approved the work, this means we sometimes issue an invoice while on the move, the IPhone App makes this easy and, to be honest, quite satisfying! Ongoing invoicing had become an issue as we often forgot to invoice small recurring charges and chasing payments. Zoho allows us to have an automatic invoice and an easy payment option for these small amounts, we find they now get paid quicker with the Zoho system. 5. How do you see life beside work? Owning a business obviously eats into spare time but at weekends I like to get out onto the water and sail or play the odd game of Golf, in the evenings I mostly watch films.